I could not make the published form https://www.jotform.us/form/70305669659164 work on your website page. 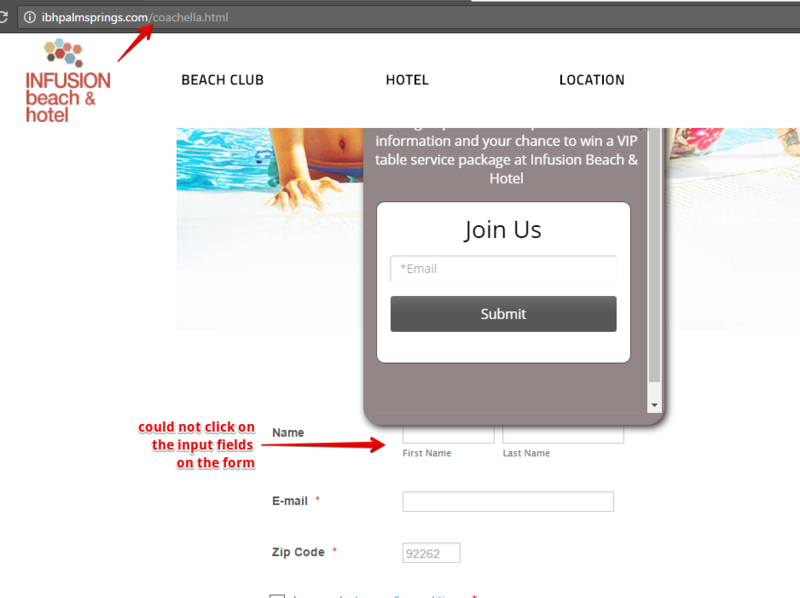 The input fields on the form were disabled when I tried testing the form on the website. There could be script conflict that is happening between those scripts on the form and those on your website page. I suggest you try first re-embedding your form on the page using its default script code and then check again.